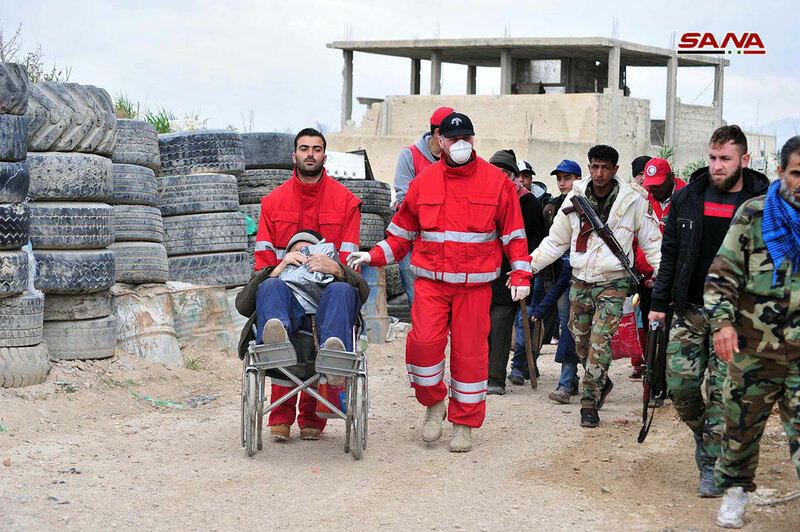 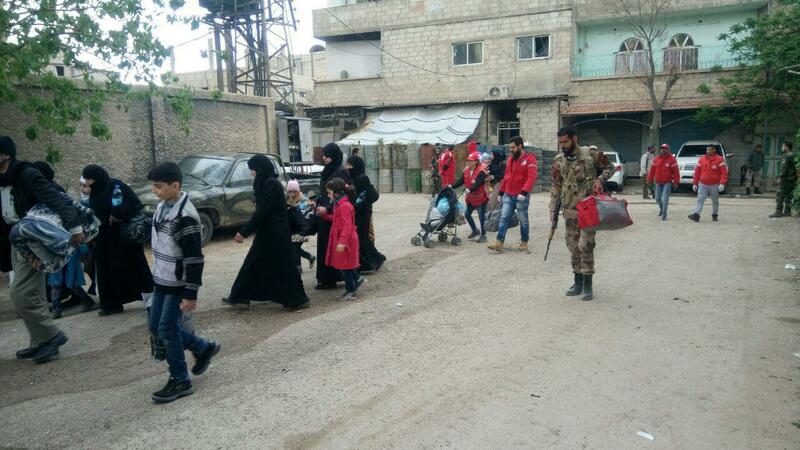 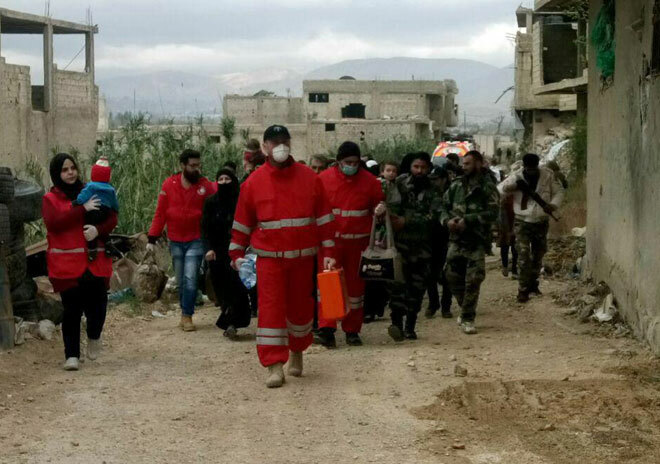 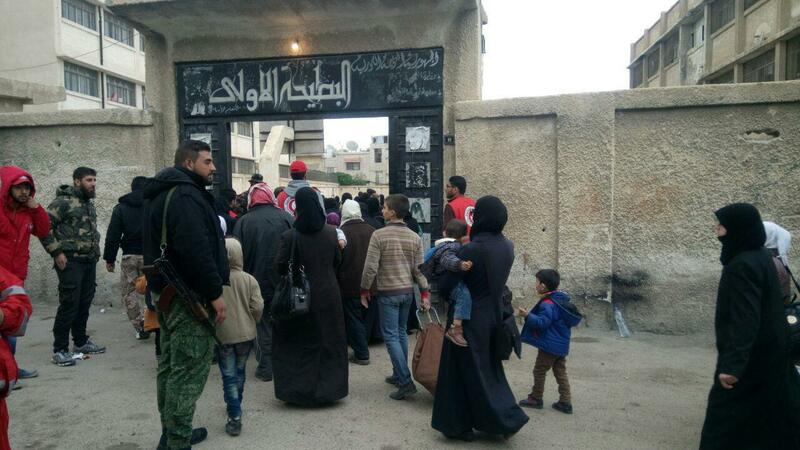 Damascus Countryside, SANA – New batches of civilians held by terrorist groups in Douma area continue to evacuate the Eastern Ghouta through al-Wafedeen Camp corridor on the northern outskirts of al-Ghouta which was opened by the Syrian Army on February 27th. 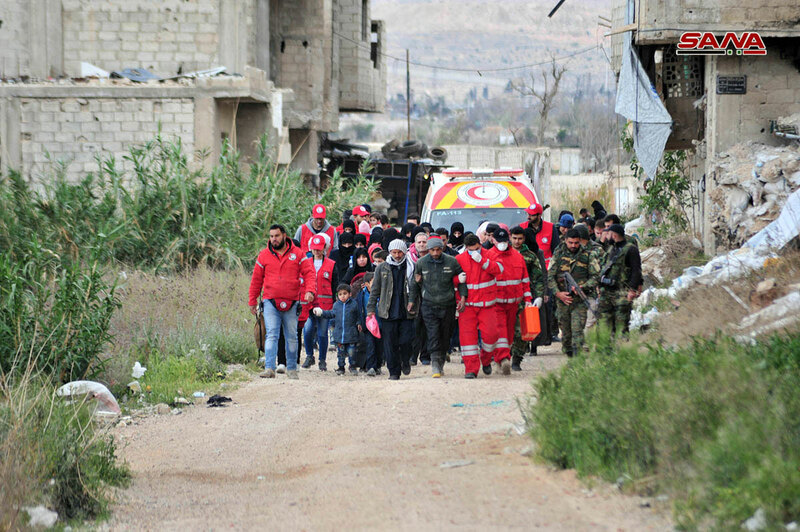 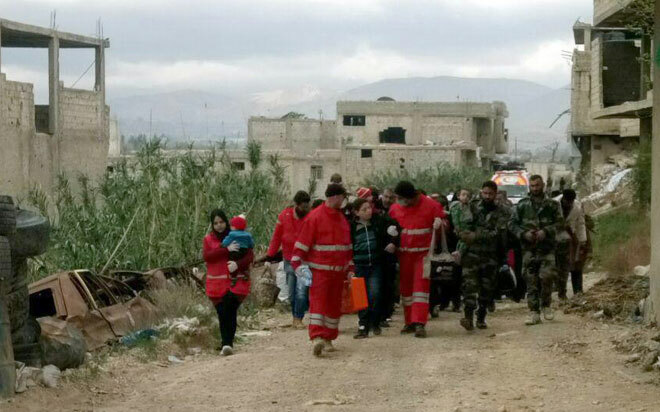 SANA delegate to al-Wafedeen Camp said that hundreds of civilians, the majority of whom are women and children, left the area through the safe corridor assigned for this purpose, where the army, in cooperation with the Syrian Arab Red Crescent and the Civil Defense teams, provided them with their needs before being transported to the temporary housing centers. A military source has stated that so far, more than 144,000 people exited Eastern Ghouta through the corridors set up by the Syrian Arab Army. On Thursday, 1043 civilians exited from Douma area and have been transported to temporary housing centers in Damascus Countryside. 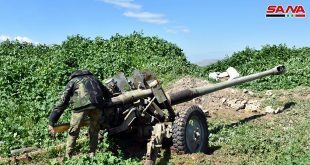 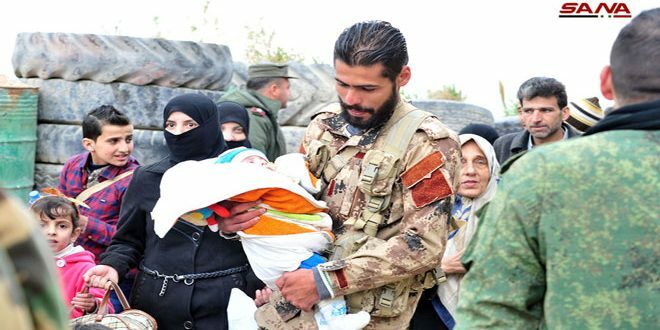 The Syrian army opened 4 safe corridors in Jisreen, Hammouriyeh, al-Wafedeen Camp and Harasta to secure the exit of civilians besieged by the terrorist groups in the Eastern Ghouta area. 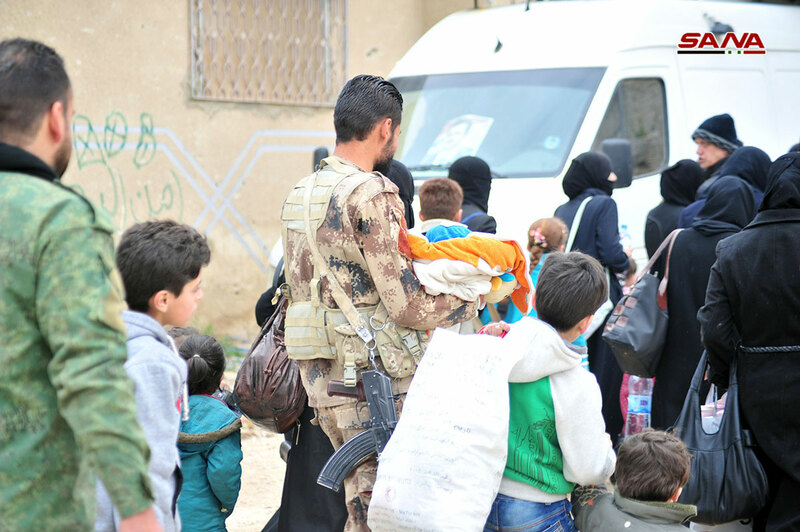 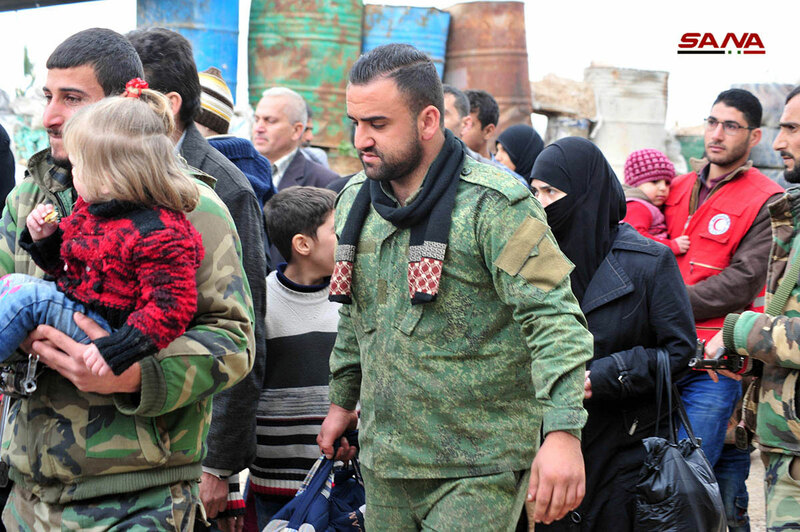 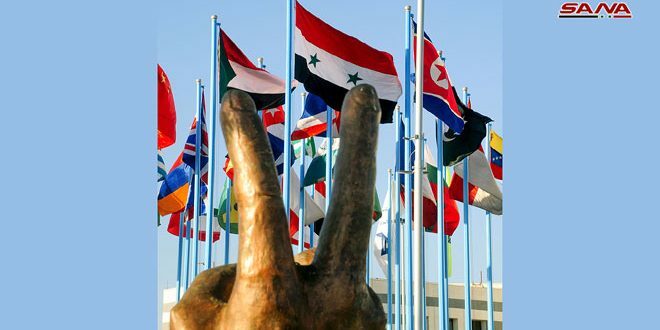 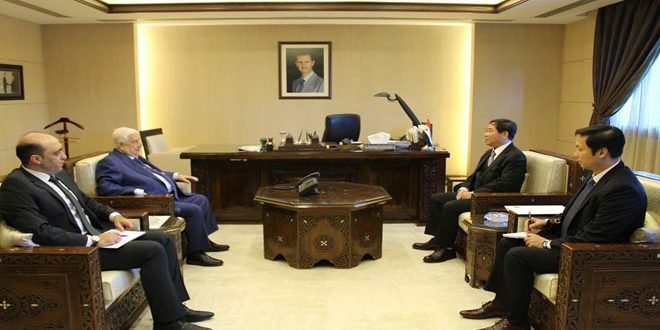 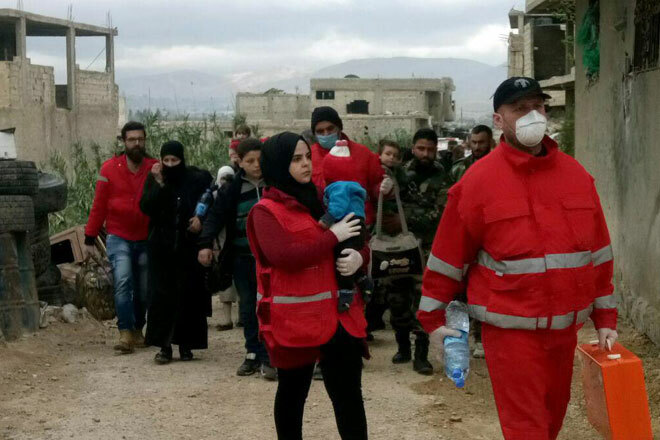 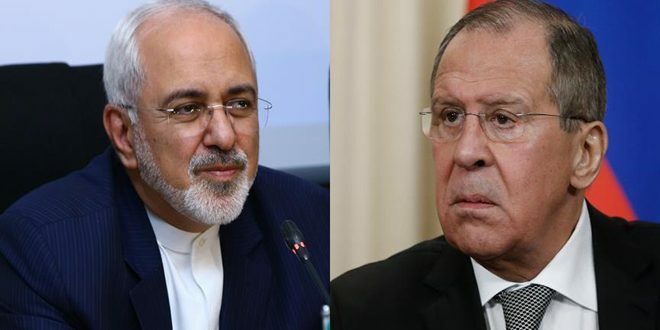 On Saturday, another corridor was opened in Erbin to evacuate terrorists and their families from Ein Tarma, Zamalka, Erbin and Jobar and transport them to Idleb province. 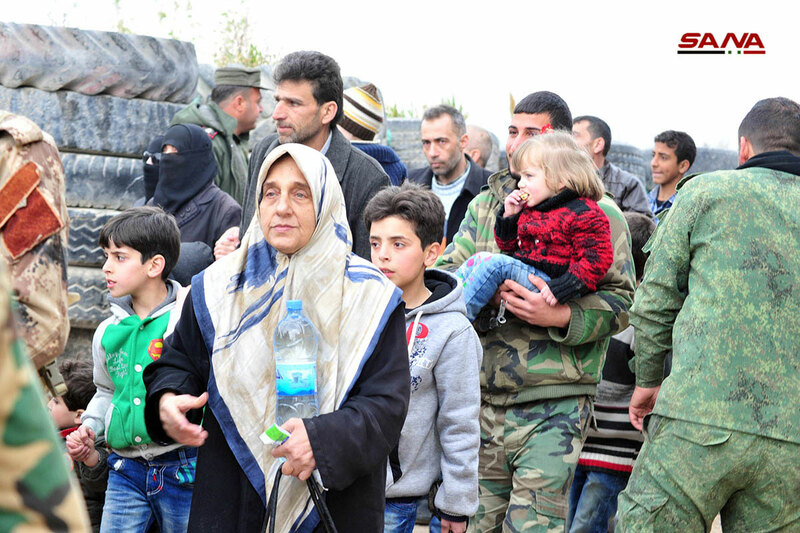 On Thursday, the sixth batch of terrorists and their families left towards Idleb. 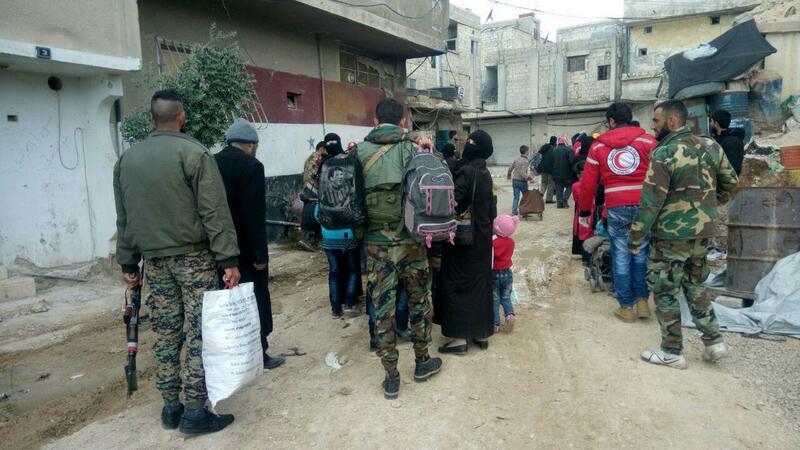 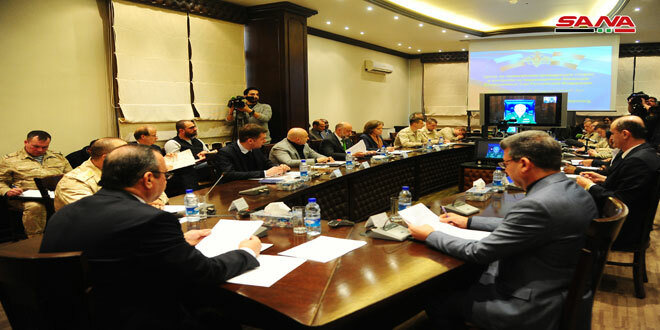 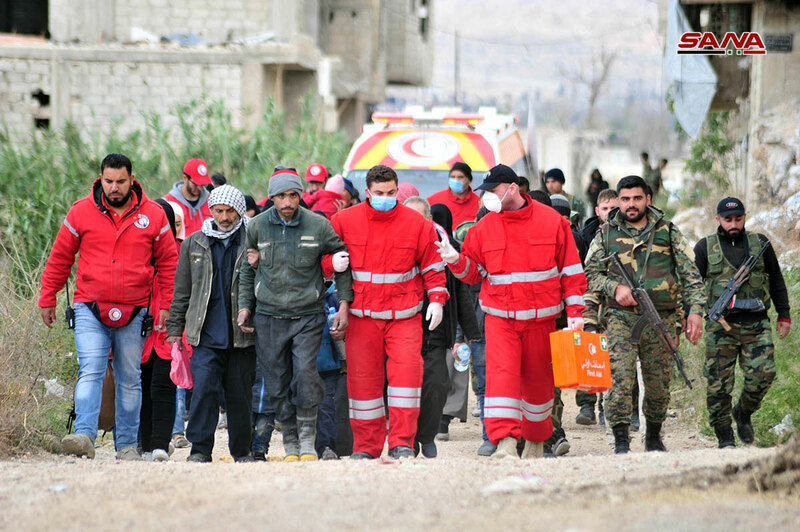 128 buses carrying 7003 persons, including 1243 terrorists from Jobar, Zamalka, Erbin and Ein Tarma in eastern Ghouta, headed for Idleb under the supervision of the Syrian Arab Red Crescent (SARC).